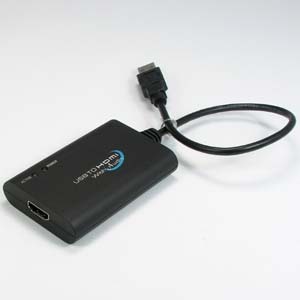 The USB 3.0 Graphic/Audio Adapter allows you to connect an extra monitor to your desktop PC or laptop's USB port. The connected monitor can be configured to either clone your primary screen, or extend the Windows desktop allowing visibility of more applications at the same time. The USB 3.0 Graphic Adapter supports up to six simultaneous displays, including widescreen displays, extending your desktop and your horizons.